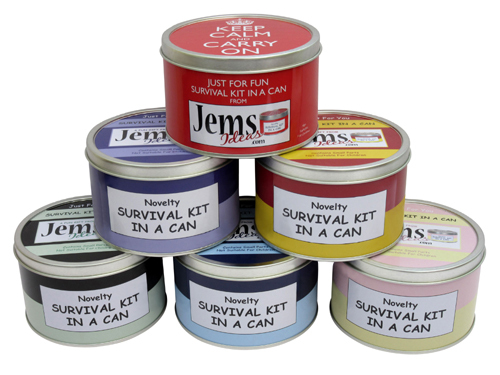 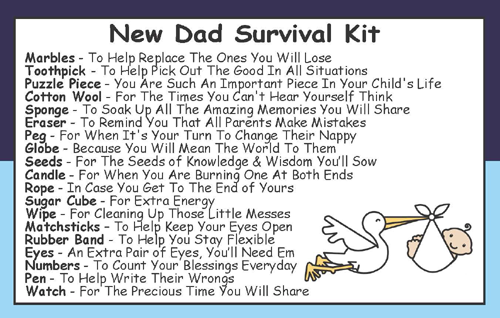 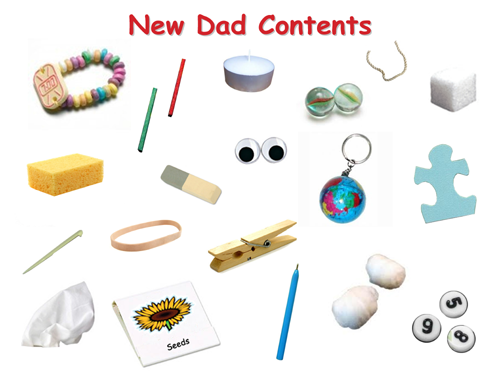 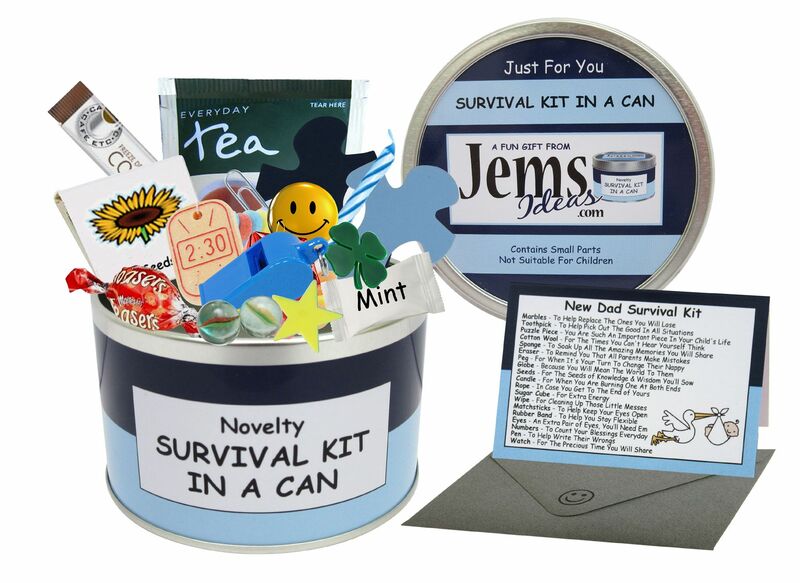 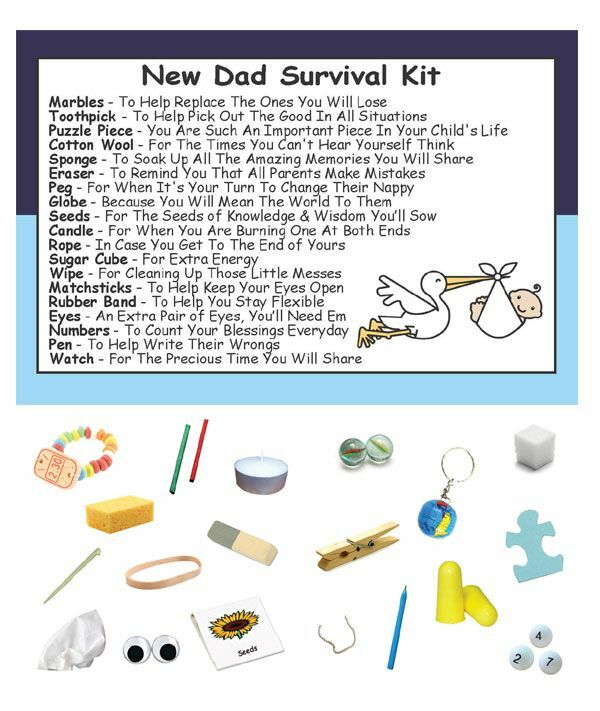 The Jemsideas Novelty New Dad/Dad To Be Survival Kit In A Can is an ideal fun gift for a friend or loved one. 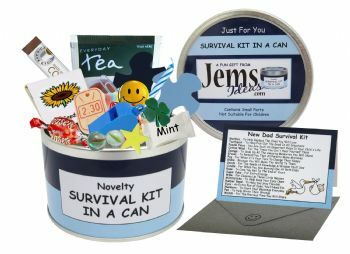 Each can is packed with cute souvenirs that we're sure will bring a smile to anyone's face. 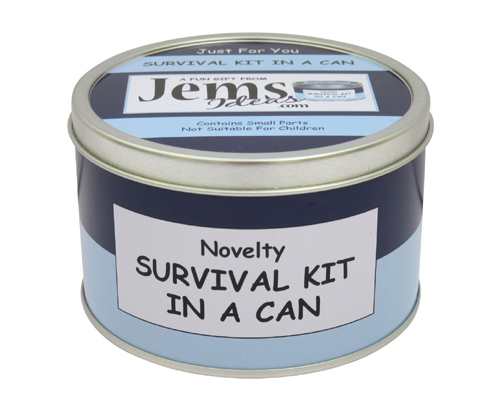 The Jemsideas Survival Kit is also available for many other occasions including Mum To Be. 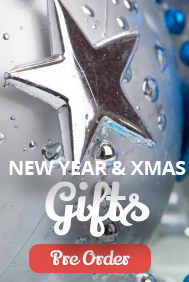 Please check out our other items for our full range of gift ideas.